Go to Settings and select Connectors. Click on Connect under the Farmlands logo. 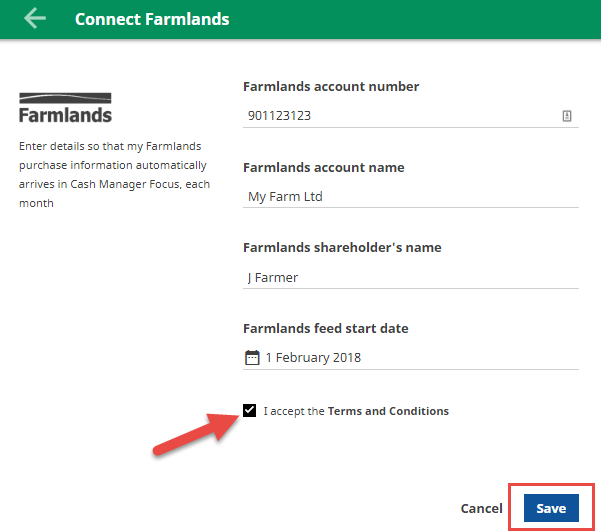 Your request is then sent to both the Farmlands and Cash Manager Focus teams, to verify that the account information is correct. This takes approximately 24 hours to complete. You can check its progress by logging into your organisation and clicking on Settings - Connectors.